Music was deemed to be the finest and the most efficacious of “Sadhanas” because the then musical notes and their vibrations had the power to open the window of the soul, which in turn always kept the mind in a balanced state i. e. Sam-bhav (Equanimity). They were guided by the natural laws of Anhad- Nada (primordial sound) in their profession, which ensured spiritual, aesthetic, sensual and emotional satisfaction. It also helped the then beings to attain and maintain purity and nobleness in their thought, speech and action. That is why “Satyug ” is called the “Golden era”. To develop good physical, social and moral health of the society through music and dance, 16 music centers, named as Satyug Darshan Sangeet Kala Kendra, have been set up under the aegis of Satyug Darshan Trust(Regd.) with its head office at its main campus Satyug Darshan Vasundhara and 15 at other places. These centers have been set up with an endeavour to impart such training that would not only help students become perfect in this art but to also help them adopt and convey the message of GOD i. e. practicing equanimity and even-sightedness to the world skillfully, to enable the humanity to start leading life purely on the principles of contentment, endurance, truthfulness and righteousness. 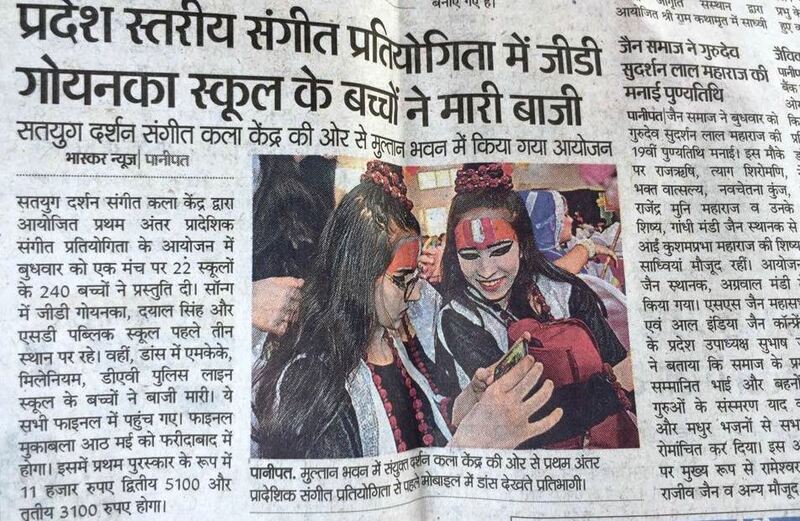 Ram Navmi Yagya Utsav 2019. Awakening Fest 2018: an intercity fest of Music and Dance. 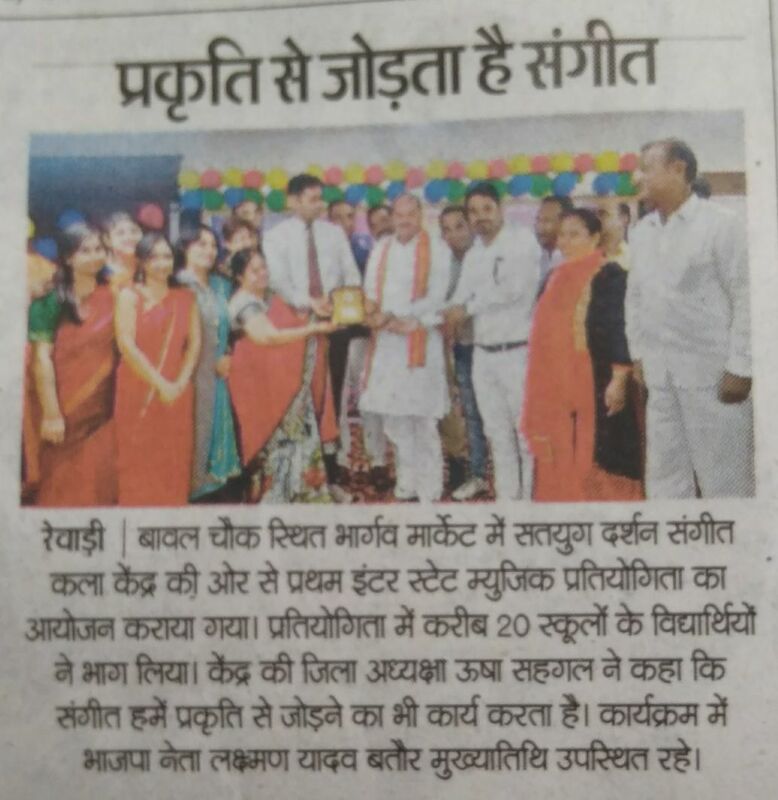 Sangeet Pratibha 2018: an initiative of Jalandhar branch. 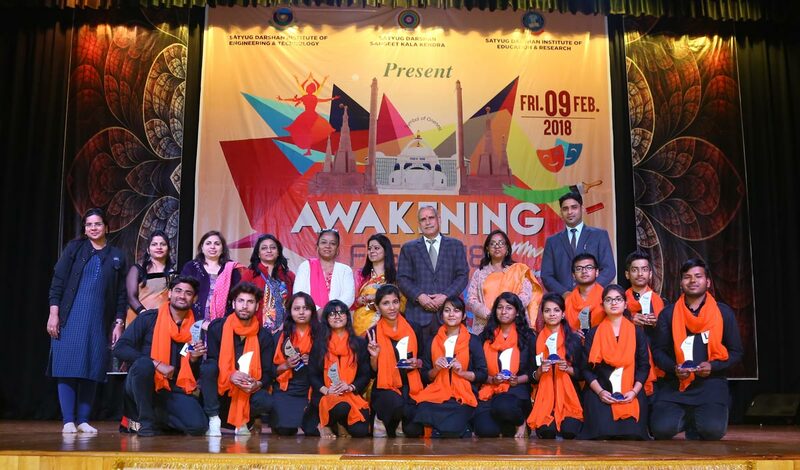 10th Inter-District Music Competition: Pathankot, Amritsar, Khanna, Ludhiana, Jalandhar and Kapurthala. Music legends, Starwalts, State Awardees have been visiting and gracing our institution. 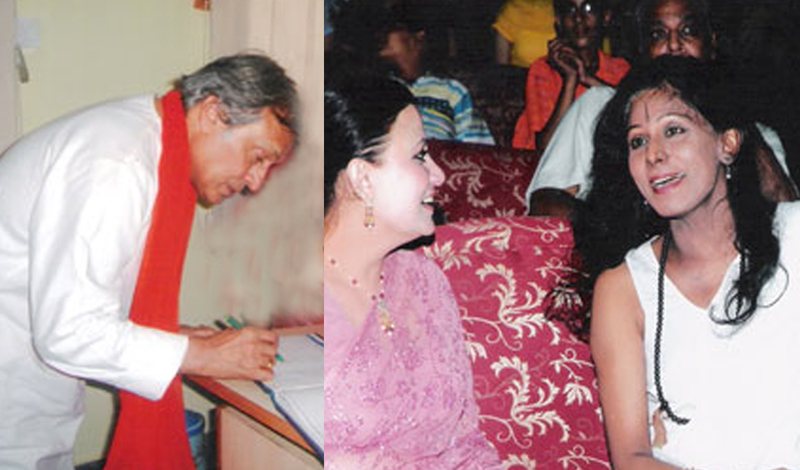 Noted Bharatanatyam exponent Shovana Narayan, The sarod maestro -Ustad Amjad Ali Khan, Kathak dancer, choreographer and teacher Uma Sharma, Punjabi folk singer Gurdas Mann are among leading dignitories who have visited and guided our students to hone their skills. 1- 29 April, 2018, Sunday, Solo Singing Competition S.D.S.K.K. 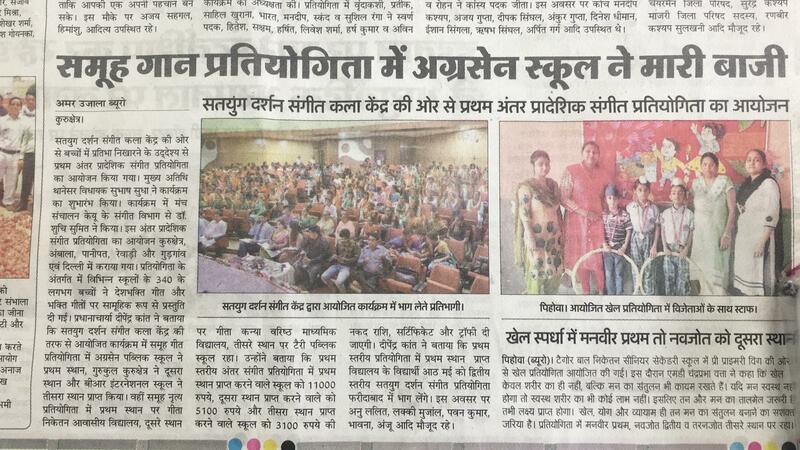 Vasundhara Open Singing Comp. 1-13 May, 2018, Sunday, Solo Dance Competition S.D.S.K.K. Vasundhara Open Dance Comp.